Transfer News and Rumours: What’s new in the Premier League? Even though the winter transfer window has been closed for a few days now, this doesn’t mean that the teams have stopped making plans for the future. On the contrary, this transfer window has helped some of the teams to realize what they need and what their positions on the market are. 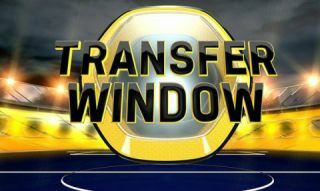 We are sure that they will use this information to get the most from the summer transfer window. As always, the Premier League is the most interesting one in the world with plenty of interesting news and rumours related to transfers and spectacular deals. So, what’s new in the Premier League at the moment? First of all, Manchester United is continuing its tradition of keeping their best players in the team. This is especially true for their English players. That’s why they have signed a new contract with Phil Jones. This time, the 26-year-old centre-back has decided to stay for at least four years more in Manchester. The management has added an option to extend the contract for one more year. This is definitely good news for Manchester United fans because Jones has proven to be a valuable asset. There are rumours that Eden Hazard is preparing to move from Chelsea this summer, probably to Real Madrid. Due to the fact that this is one of their crucial players, Chelsea is working on finding the best replacement for the Belgian player. It looks like they are considering all the options available in Europe. Some of the players that can replace Hazard are young, while others are slightly older. The list includes well-known players like Lorenzo Insigne, Richarlison, Philippe Coutinho, and Nabil Fekir. Next, on the list of interesting news, we have Arsenal. Just like every year, Arsenal has its ups and down, and it always looks like they are missing a player or two to get to the top of the Premier League. That’s why every year, Arsenal is among the favorites for the title according to many bookmakers. While we are talking about football betting, we would like to mention https://footballjunkie.co.uk/, a website where visitors can find the best UK football betting websites in 2019. With so many websites dedicated to football betting, it’s hard to find the best football betting website available in the UK without consulting a specialized website. Now back to Arsenal and the latest news/rumoursrelated to the Gunners. Their winter transfers were not spectacular, but they will probably fix this during the summer period. A few sources have confirmed that Arsenal is scouting on Leandro Trossard. He is playing for Genk, in the First Belgian Football League as a winger. The 24-year old player is a very talented winger which should help Arsenal score more goals in the future. As for Tottenham, they will definitely have to look for a replacement for their playmaker – Christian Eriksen. This would be a huge loss for Tottenham, but Eriksen has confirmed that he is planning on moving abroad probably to Real Madrid. This is the reason why the management of Tottenham Spurs was making contacts with a few midfielders in January. It looks like they would try to sign a deal with James Maddison (Leicester City) if everything goes according to the plan. Finally, there’s an interesting race between Arsenal and Tottenham focused on Mathias Ginter. The defender that plays for Borussia Monchengladbach can rest assured that he will get great offers this summer and it would be up to him to decide where he could fit better.